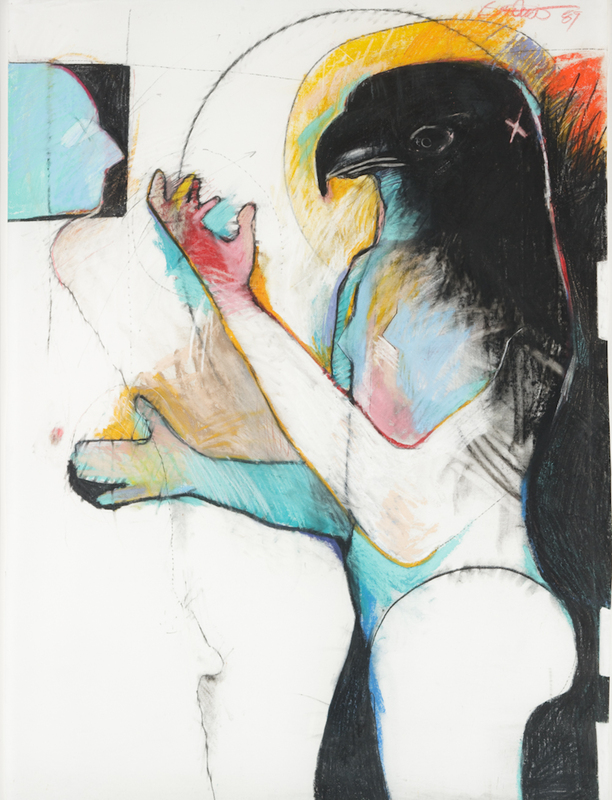 Rick Bartow is an expressionistic artist whose work often emphasizes connections between his past and present and between animal and spirit worlds. Here, the body of a human in conjoined with the head of a bird. Bartow's transformational images began to emerge in his work during a cathartic period in his life when he was getting sober.